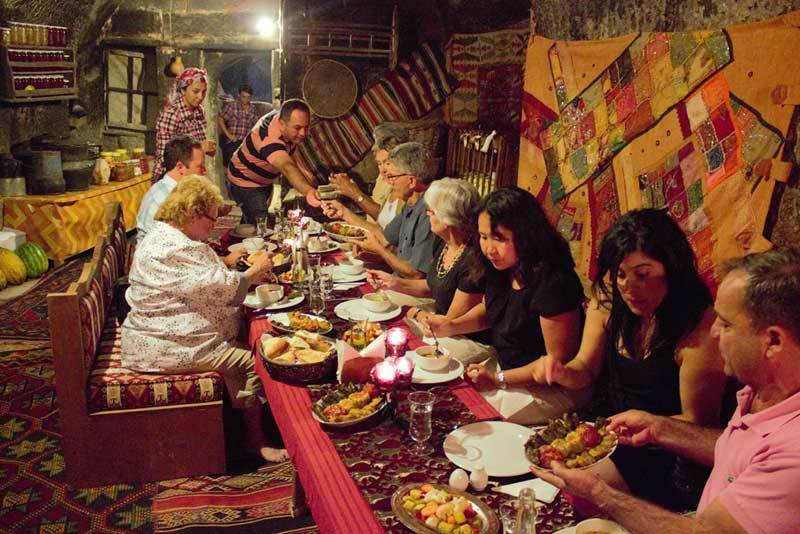 Enjoy a private and cozy experience as our family welcomes you into our home for a cooking class and an insight into daily life in a Cappadocian village. 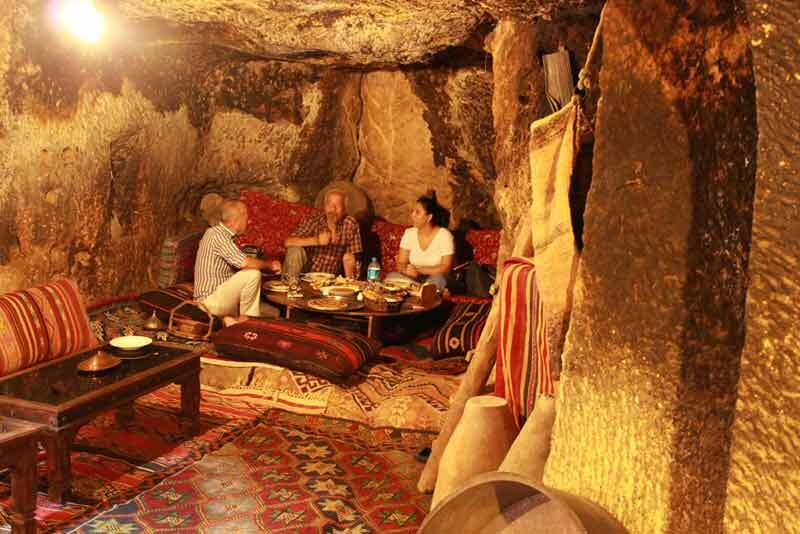 You will learn to cook the Turkish dishes of this region as they have always been prepared traditionally and still are prepared in Cappadocian households today. 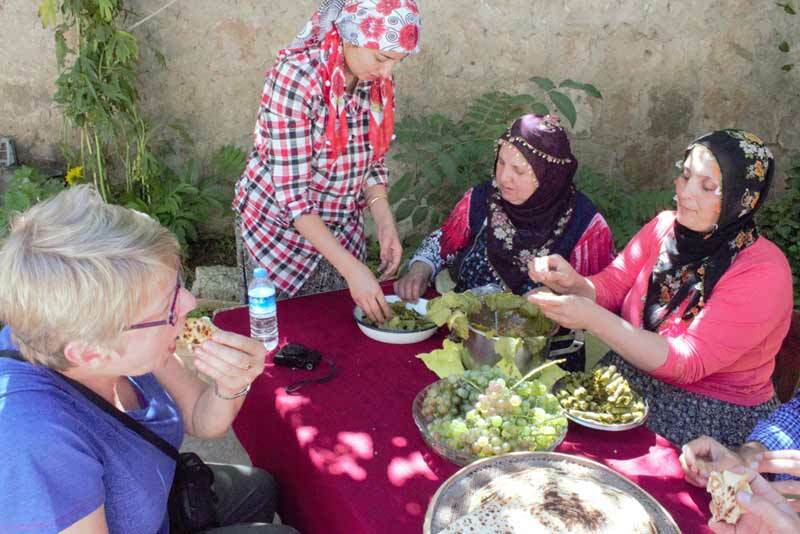 Enjoy the hands-on experience as our family members show you the techniques for making traditional dishes such as stuffed pumpkin flowers, gözleme (sort of savoury pancakes), mantı (tiny stuffed dumplings), stuffed apricots and many more of the traditional recipes which make up Cappadocia's varied cuisine, using the regions's fresh, seasonal ingredients. This is no show of traditions put on for the benefit of visiting tourists; this is simply a glimpse into the routine of everyday life. When you've prepared your delicious spread, you can sit down with the family to enjoy your own culinary creation and enjoy a cozy chat over your meal.